Truly a beautiful location! Congratulations on your second place win in the Beauty in the Desert contest! Congratulations on your 2nd place win in 'Beauty in the Desert', Kathleen! My pleasure to host the contest. L/v. Thank you so much, Brooks! And thanks also for all you do to promote others though your contests and groups! Lovely shot, Kathleen. Great composition too! Thank you for your kind words, Eva Maria! Thank you, Judy! I really appreciate your support! this is truly God's paintbrush at work, beautifully captured, love the tonal quality , contrast, and etched ridge lines, all against a beautiful rich sky. A very powerful image. I love the textures and the contrast. Added to my favorites. Wonderful color and detail! 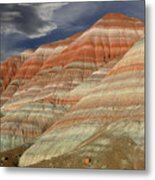 Congratulations on your feature in the �Landscape and Landmark Photography� group! 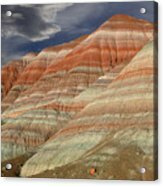 Fine art scenic southwest landscape photograph highlighting huge rainbow-hued heaps of ash accumulated during Triassic period volcanic eruptions. 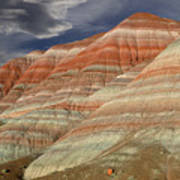 These colorful ribbons of sedimentary strata comprise the Petrified Forest Member of the Chinle formation which is indeed rich in silicified wood. 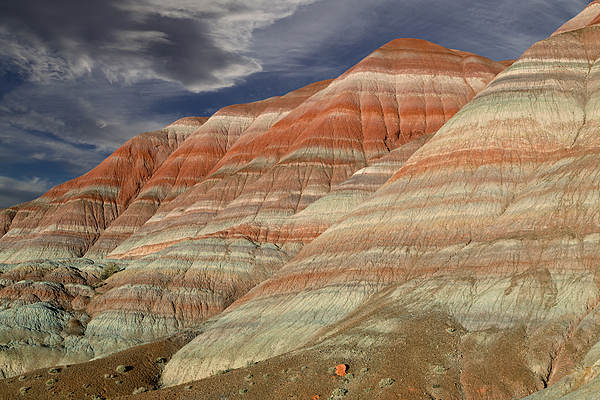 This geologic wonder lies along the Paria River in the Grand Staircase-Escalante Wilderness of southern Utah. 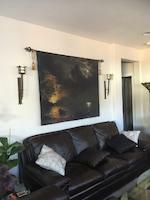 Fine art prints available for sale. All products carry a 30-day money-back guarantee. ©Kathleen Bishop. kathleen-bishop.pixels.com. All Rights Reserved.